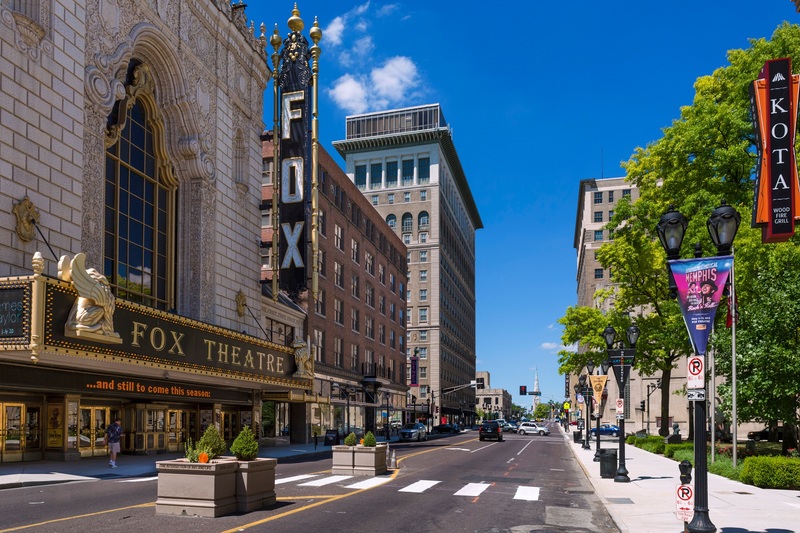 Our hotel is located near the Fabulous Fox Theater, makng it the perfect place to stay during your next visit to St. Louis! William Fox, founder of film Production Company, 20th Century Fox, began production on this St. Louis in 1927. Designed by leading movie palace architects of the day, Howard Crane, the theater was designed in an elegant “Siamese Byzantine” style that would showcase the Ritz and glamour of the city. The architectural masterpiece officially opened in 1929, and became a spectacular venue for movie premiers, stage attractions and special events. After closing its doors for a brief period in the late 1970’s, the theater was restored in 1981 to its original glory, earning a 1983 National Trust Honor Award. 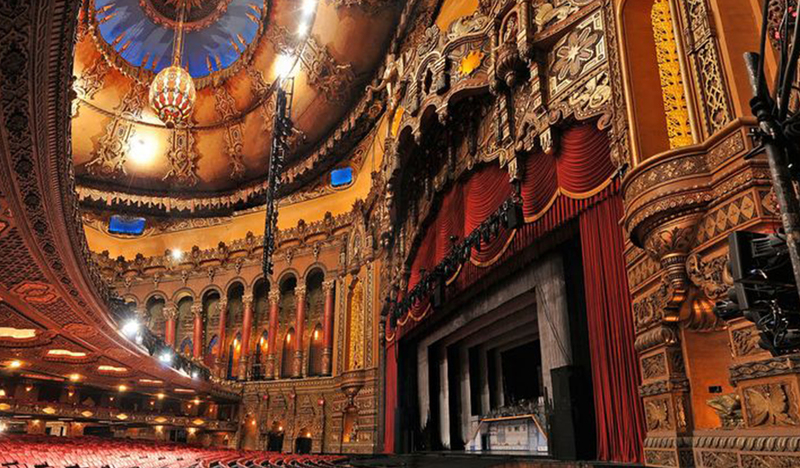 Today, the theater is home to exciting concerts, shows and special events. A trip to the Fabulous Fox Theater is the perfect romantic date night for couples visiting the St. Louis area. Ask our friendly staff for information on dining options around the theater. 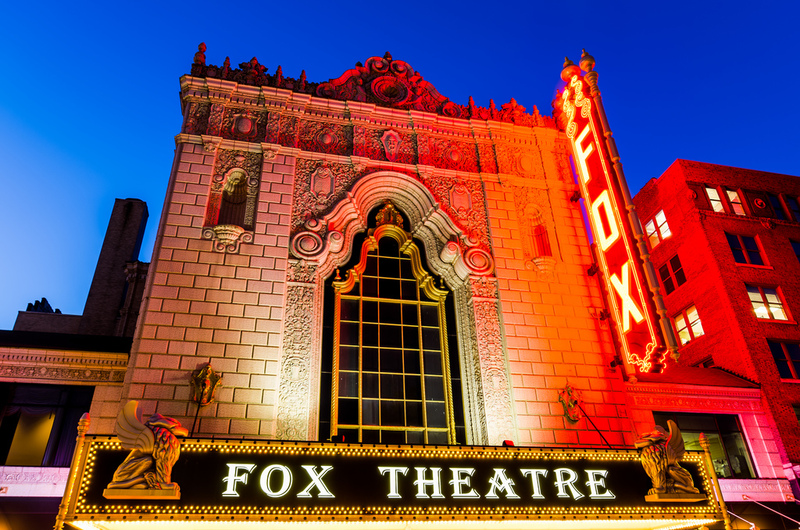 A must-see on your next trip to St. Louis, the Fabulous Fox Theater is a stunning display of early 1920’s elegance. Located just over 5-minutes from Hotel Ignacio, this incredible building is a great place to visit even if you’re not checking out an upcoming show! Stroll down Oliver Street to enjoy a scenic walk on your way to this opulent theater.